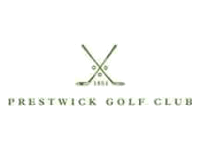 A site of pilgrimage for anyone interested in the history of golf. Site of the first Open Championship. Has the oldest hole in championship golf that still plays as originally designed. Some quirky holes, some blind shots. If you love golf you will love this links course. Great course! Tou cab ferl the history of this site when entering the clubhouse or playing the course. Some holes have an interesting layout that requires some strategy. Be sure to remember the 5th and 17th hole! And an advice. Take the extra cost of a forecaddie. It is way more enjoyable since some holes have blind shots.